To know Dillon, you only had to witness the massive outpouring of love and intense sadness over the sudden loss of this dynamic life force. More than a thousand friends and family members showed up for his funeral. It confirmed Dillon’s enveloping reach of friendship, inviting so many into an ever expanding circle of friends. Always positive, sometimes hilarious, forever hopeful, brimming with dreams and goals, Dillon left us with his brilliant (radiant) smile etched in our hearts and our memory. Dillon had a way of zeroing in on people, making them feel heard, understood and important. He was a confidant to many who struggled with personal problems. He knew just the right thing to say and would punctuate his thoughtfulness with his beaming smile and one of his famous hugs. Dillon was also a leader, someone who people listened to who had a purpose and presence when he spoke. This was Dillon – engaging, compassionate, gentle and genuine. Dillon’s appeal resonated with his teachers, too. His science teacher wrote, “I’ve never met another person, much less a child, with such an easy way of giving of himself, without ever needing or taking.” Full of academic aspirations, Dillon came to class with a strong work ethic and an uninhibited desire to learn. Dillon had a passion for writing, and on paper he showed he had a deep, introspective spiritual side. His poems and essays dealt with themes of originality, political perspectives, personal stories, and always exhibited his desire to be somebody and change the world. One of his favorite English teachers wrote, “I loved him for his determination, for his yearning to make his mark on the world with his words. Dillon acted on his beliefs and his outrage against human rights violations by supporting organizations such as Jewish World Watch Darfur. 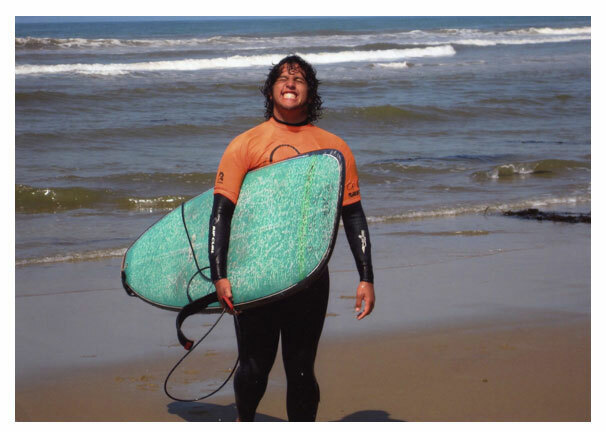 His passion for the ocean drove him to co-chair and establish an Ocean Awareness Club, akin to the Surfrider Foundation. Additionally, Dillon enjoyed kids of all ages and sought out opportunities to work and be with them and improve their lives. To continue Dillon’s deep concern for less fortunate children Dillonslist.org is including CASA, an organization that helps abused, abandoned and neglected children, as one of its primary causes. There was also a lighter, fun-loving side to Dillon. Picture Dillon showing up at school last year wearing pink hot pants and a matching sweatband – or the time he came to school in a Scooby Doo Halloween costume. Once, while placing an order at a food counter, he said his name was Tupac and waited to hear the announcement, “Tupac, your fries are ready”. He then hit on the waitress (who, by the way, turned him down saying she doesn’t date rappers). This was what it was like being in Dillon’s orbit. 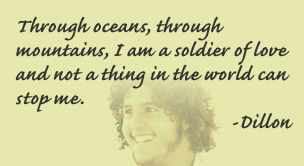 Dillon was 17 when he died in a car crash on July 6th, 2007. This was the summer preceding his senior year at Palisades Charter High School in Pacific Palisades, California. That night he had just learned he was in the top 4% of his class, raising his chances and hopes to eventually be admitted to the University of California at Santa Barbara or Berkeley, his top picks. He had many dreams that were certain to be realized, so his sudden fatal accident seemed cruel and impossible to understand. The next day Dillon was slated to depart on a long anticipated surfing trip to Nicaragua, traveling with a close friend and his two cousins. For years Dillon enjoyed AYSO, Pali Soccer, and Club soccer for Santa Monica United. But for Dillon, surfing (along with his writing) became his consuming passions. When he was in the ocean he felt free and happy. At a very early age Dillon learned how fragile life is. His best childhood friend and neighbor, Mitchell, lost a heart wrenching battle against a rare form of cancer at the age of six. Losing his beloved buddy played a pivotal role in shaping the kind of person Dillon was destined to become. Dillon appreciated his life – and he had much to appreciate, but took nothing for granted. He was devoted to his Mom, Dad and sister, unusually close to them all, talking openly about his day, his friends, his life and his dreams. He respected his parents and adored them for providing all the love and support he knew he could always count on. Dillon had a ritual with his mother whenever she would drop him off at school. He would walk away, and after a few paces he would then glance back and beam his celebrated smile back at her.